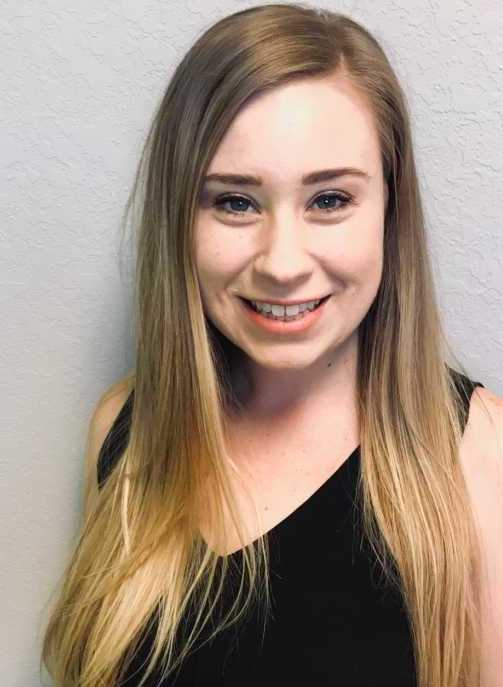 Tristen Dull is a speech-language pathologist at FOCUS Therapy Fort Myers with a Master of Arts in Communication Disorders from New Mexico State University, a Bachelor of Arts in Communication Disorders and a Bachelor of Arts in Spanish from Butler University in Indianapolis, IN. Tristen is certified Intermediate High by the American Council on the Teaching of Foreign Languages Certification, certified bilingual (English-Spanish) by New Mexico State University and has been a member of the American Speech-Language Hearing Association since 2017. Although today she loves her career as a pediatric speech therapist, it wasn’t a lifelong dream. In fact, she’d never really heard of it before, much less consider pursuing a career. Her aspirations involved less scooping up little ones and more chasing down big scoops as a journalist. Then by chance, she attended an undergraduate College of Communication fair on campus and picked up a brochure. She hasn’t regretted a moment of it. Following her clinical fellowship year at a pediatric therapy clinic in El Paso, TX, she spent the 2017-2018 school year working as a school-based speech therapist for Southwest Florida’s Lee County School District. (After growing up in a Midwest Indianapolis suburb, then living in the desert, she concluded: “It was time to move to the beach.”) Tristen joined the FOCUS team of pediatric speech therapists in Fort Myers in summer 2018. She enjoys working with a diverse patient population, but has a special affinity for children with disabilities and other conditions. Contrary to popular adult mindset, children aren’t “mini-adults-in-training,” she explained. In her years practicing speech therapy, she’s come to see that every child is just as unique – their desires, emotions and dreams just as valid (if slightly less static) – as those of any adult. She described the daily atmosphere at FOCUS Therapy in Fort Myers as fun, collaborative and meaningful. People are sometimes surprised to learn Tristen speaks Spanish so fluently. “I love communication so much, one language just wasn’t enough for me,” she explains with a laugh. Although not at native-level proficiency, she expressed gratitude for the ability to communicate with ease with our FOCUS Spanish-speaking speech therapy patients and their families.